The Atlanta Hawks extended their winning streak to eight games with a 95-79 home win over the Philadelphia 76ers on Wednesday night at Philips Arena. The last time Atlanta (15-6) won eight straight games was in the 1997 season when the Hawks produced an 11-game winning streak. 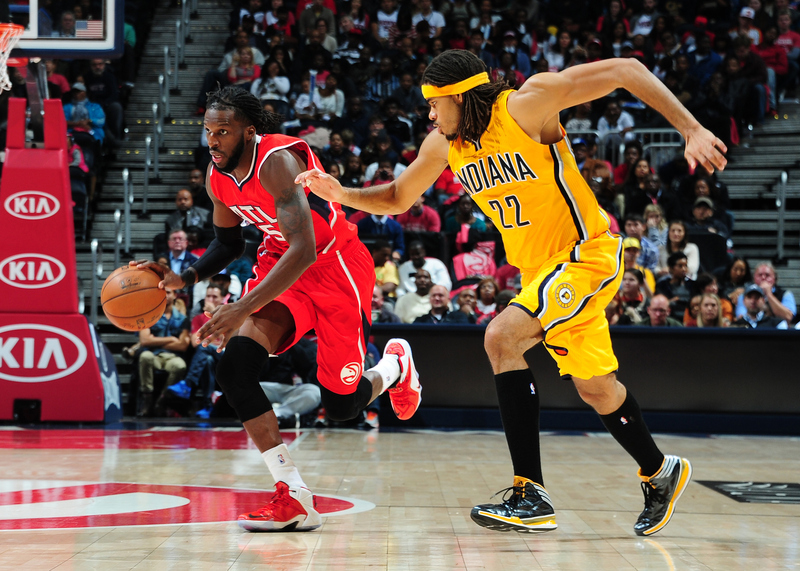 Paul Millsap and Kyle Korver each scored a game-high 17 points for Atlanta while DeMarre Carroll noted a double-double with 14 points and a game-high 11 rebounds. Al Horford (11 points) and Mike Muscala (12 points) also reached double-figures in scoring for the Hawks. Atlanta shot 41.8 percent from the field, converting 10 out of 30 three-pointer attempts. The Hawks outrebounded the Sixers 52-39 in the victory. Alexey Shved had a team-high 13 points off the bench for Philadelphia (2-19), who never held a lead in the contest. Luc Mbah a Moute scored 12 points for the Sixers while Michael Carter-Williams had a game-high nine assists along with a team-high 10 rebounds and nine points. The Hawks led 25-21 after the first quarter. Atlanta continued it strong play through the second quarter, taking a 47-38 lead into halftime. Korver had a game-high 11 points at the half while Carroll had six for the Hawks. Atlanta shot 39 percent from the field, making only six of 22 three-point attempts in the first half. Mbah a Moute had a team-high nine points at halftime for Philadelphia. Overall, the Sixers shot 45 percent from the field through the first two quarters. Atlanta extended its lead to as much as 21 points in the second half, outscoring Philadelphia 48-41 over the final two quarters. Let the hate begin but they are arguably a top-five musical duo of all-time. That sounds like a potential future post. Last season/offseason changes: The 76ers finished 27-55 last season and that led to major offseason changes. Former head coach Eddie Jordan has been replaced with Doug Collins and the new team president is Rod Thorn. Both of the new additions are NBA lifers who have experience in rebuilding rosters, especially a young roster. On the court, the Sixers traded inconsistent center Samuel Dalembert to Sacramento. While this move looks bad on paper and I’ll get to the details of this in the “weakness” section, the move had to be made to prepare for the future. He’s an excellent defensive center but was a liability on offense and financially. Strength: The Sixers may have one of the most athletic guards and small forward combinations in the NBA. Shooting guard Andre Iguodala has the ability to drive to the basket with ease and is one of the top wing defenders in the league. His experience with the USA National Team during this summer’s World Championships was an excellent opportunity for Iguodala to show his versatility. Point guard Jrue Holliday has the physical ability to be a solid contributor to the 76ers this season and knows his role is to push the ball and get open looks for his teammates, which now includes new draft pick Evan Turner. The Ohio State product is probably the rookie with the most pro-ready game in the league and yes, that does include John Wall. Turner’s ball handling skills, scoring and defensive attributes will take pressure off of Iguodala and improve the team overall. Weakness: The Sixers have two major weaknesses that you can’t have if you expect to compete for a championship or at least make the playoffs. The first one is a lack of outside shooting. All of the guards and forwards mentioned earlier have good skills but none of them are elite shooters. Expect to see a lot of zone defenses against the Sixers this year. The other issue is the lack of muscle inside. The combination of newly acquired Spencer Hawes, Thaddeus Young, Marreesse Speights and Elton Brand doesn’t rebound well or block shots enough to take pressure off of the perimeter defenders. Best player: The best player on the team is Iguodala but if the Sixers had their choice it would be Brand but the former Duke product’s game has regressed because of age and injuries. Most important player: The most important player is Turner because if he performs to his abilities, Iggy can become an All-star this season for the Eastern conference. If the Sixers can spread the offensive responsibilities of the squad outside of Iggy, this team has potential to sneak into the playoffs. Celebrity crush from the city: Philadelphia is filled with plenty of beautiful women but I’m going to go with the rapper Eve. She intrigues me. Coaching: Collins has been a mixed bag for me. His disciplinary style works with young, unorganized teams that are looking for leadership. This formula was successful during tenures in Chicago and Detroit. However, when those same young players develop their own identities, the grading nature of Collins’ approach becomes overbearing, just ask Grant Hill and Michael Jordan. The Sixers have a young core but a group of veterans as well so the end results will be interesting. First memory of team: The Sixers were a big rival of my favorite team, the New York Knicks, but I always admired Charles Barkley. You may never see a 6’4’’ power forward perform at a Hall of Fame-caliber level again. Worst case: Another 27-win season despite the changes. Overall outlook: I like the direction that the Sixers are going but they may have to endure another 30-win season before the full potential of the squad is met. Looking at the roster, the Sixers would be best to adapt an uptempo style that not only highlights the skill sets of the players but will also be entertaining to the fans. Those are my thoughts, what about yours?